Magnasin Stone Crafters provides old world style custom stonework and renovations. We specialize in custom stone & brick, chimney repairs, stamped concrete, and stucco. The title of bricklayer and stone mason are often used interchangeably. While these two professions do share considerable overlap in duties and requirements, the truth is that not every bricklayer can be called a mason. The difference, largely, comes down to skill level. Though there are no specific distinctions for the terms, it is generally agreed that masons have learned advanced bricklaying techniques that set them apart from the traditional bricklayer. Magnasin Stone Crafters are third generation stone masons, proud of their heritage and their workmanship speaks for itself. Magnasin Stone Crafters provides old world style custom stonework and renovations. 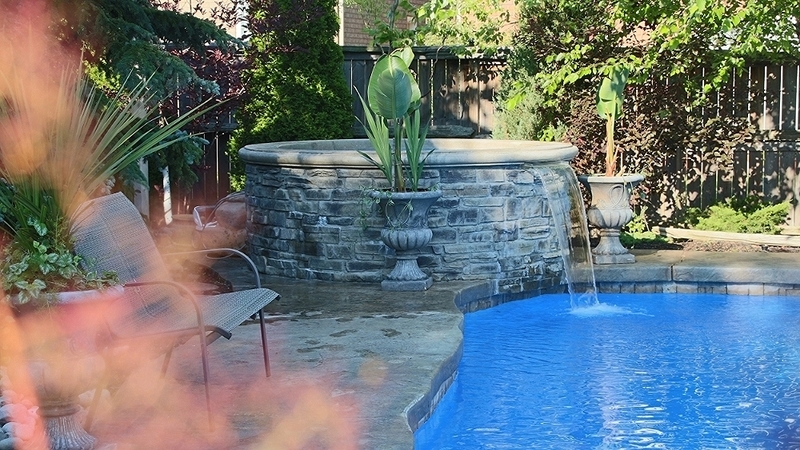 We specialize in additions, custom stone & brick, outdoor pizza ovens, chimney repairs, resurfacing stamped concrete, pool walkways, colour pigmentation, staining, sealing, stucco, waterproofing excavating and foundation repairs, concrete walkways, driveways in exposed aggregate and stamped concrete.